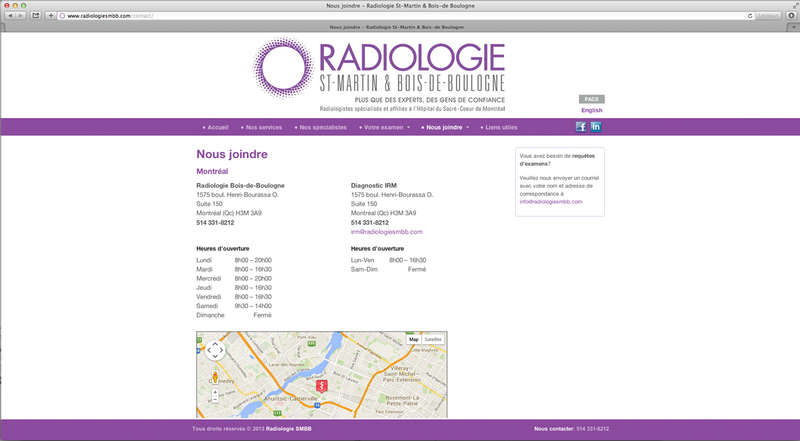 Radiologie St-Martin & Bois-de-Boulogne has offered general and specialized radiology services for more than 35 years. 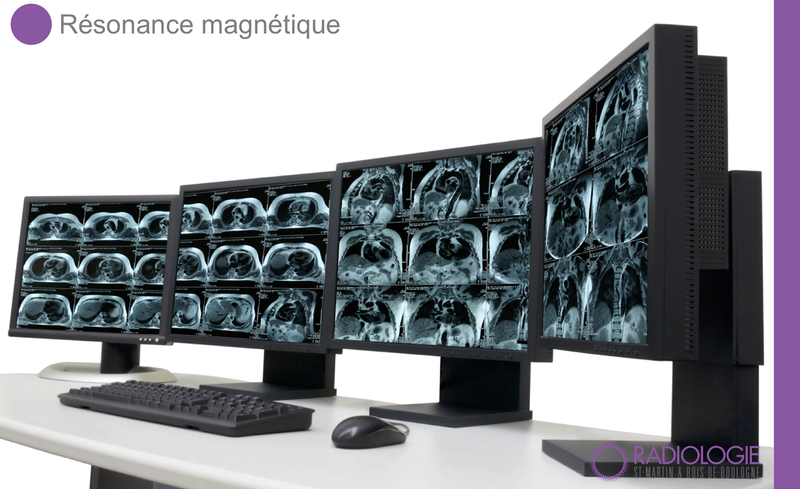 Regrouping a team of professional radiologists affiliated with Montreal’s Sacré-Cœur Hospital under one roof, the clinic provides comprehensive general and specialized radiology services. 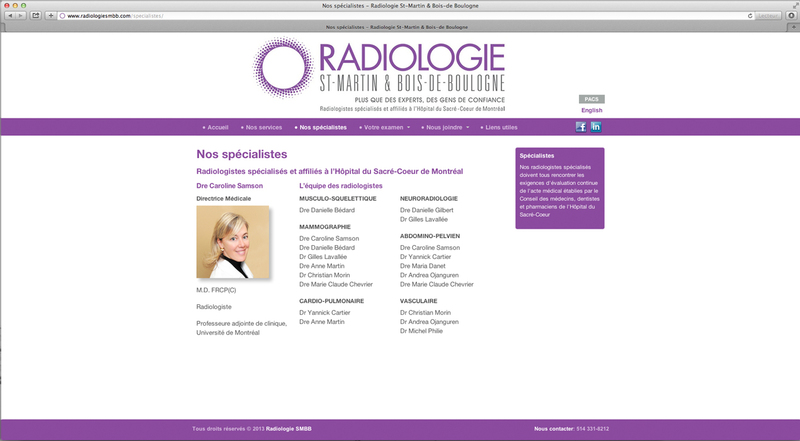 Objective: Formerly Diagnostic Image, Radiologie St-Martin & Bois-de-Boulogne entrusted H2O communication with their rebranding resulting from the clinic name change. 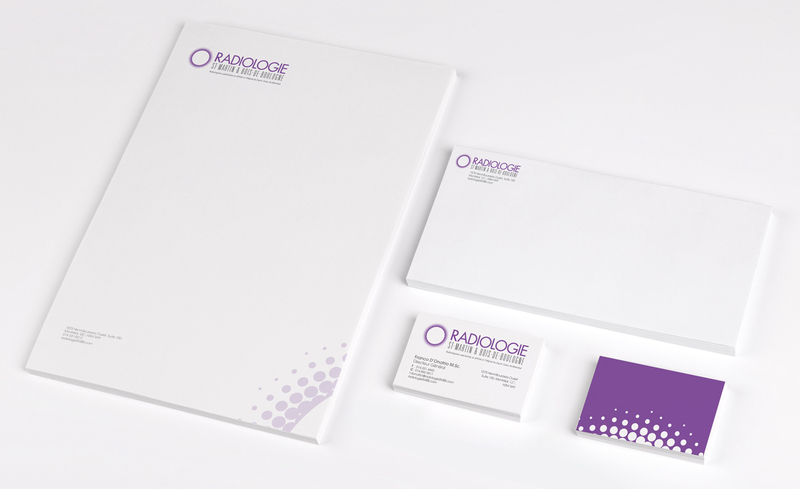 The radiologists wanted to promote their new visual identity and reposition the company within the medical radiology field, standardize their communication tools and gain brand recognition through notoriety. The brand image had to be professional and inspire respect. 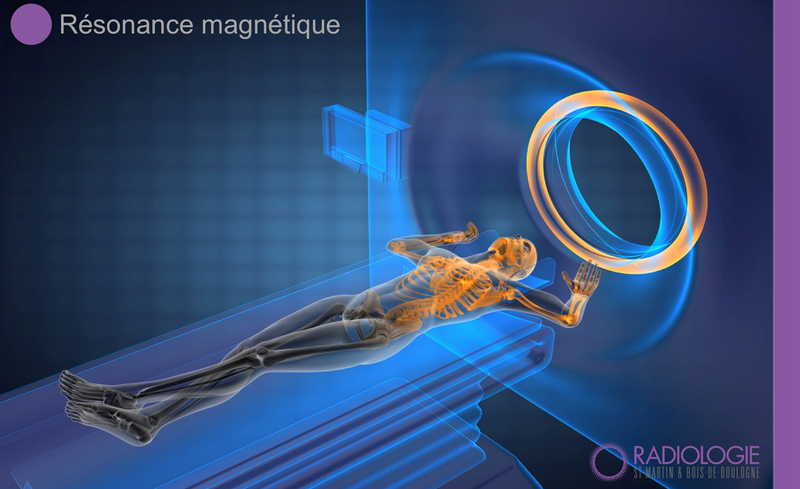 We undertook brand repositioning, supported by long-term strategic reflexion. 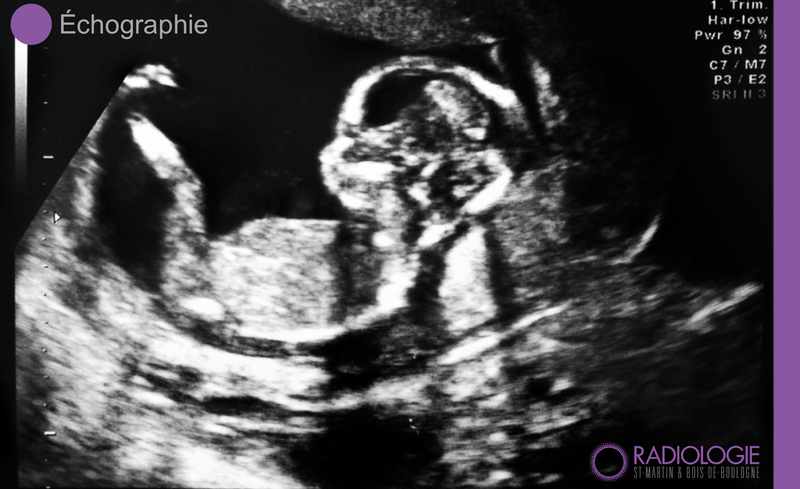 Following this process, we created a modern and professional new logo, which perfectly integrated with the new brand image. 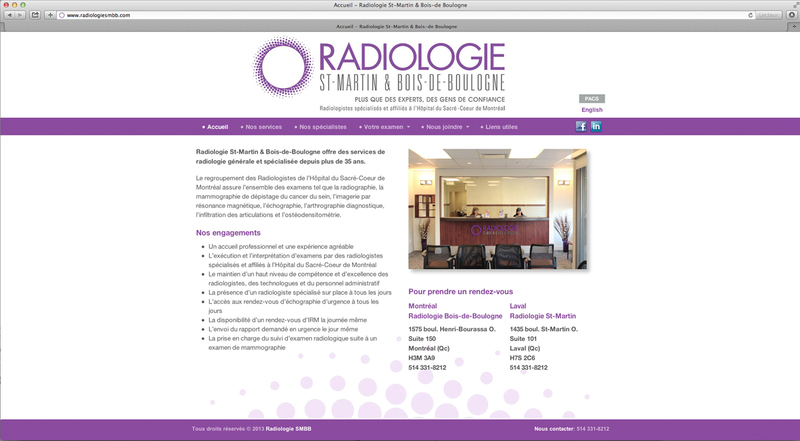 We also reviewed the company’s corporate signature, stationary, doctor’s request form, and advertising flyers, and then reprogrammed and redesigned a new website as part of the overall integrated communication strategy. 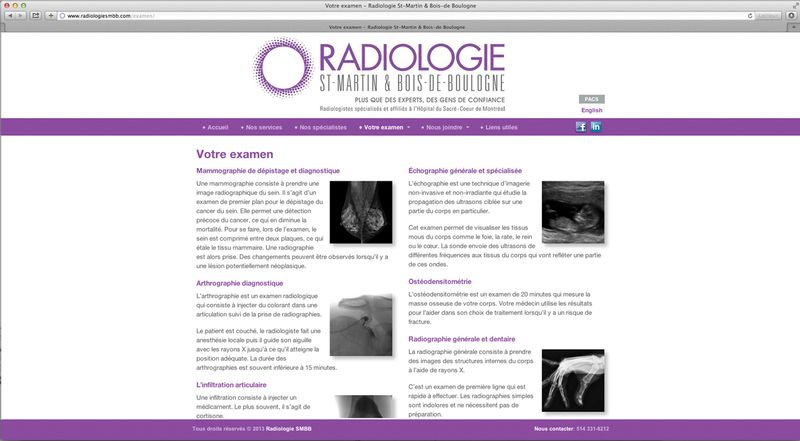 Results: We achieved all stated objectives, rebranding the clinic to gain more visibility and notoriety, in addition to increasing the number of exams and patients. 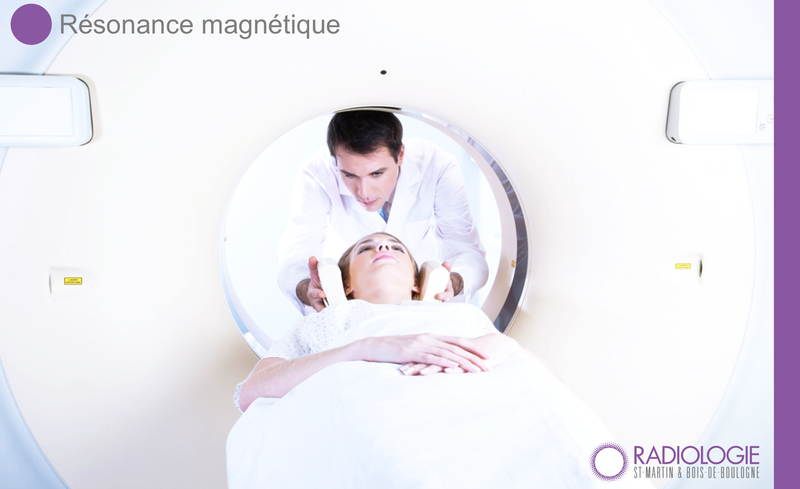 We succeeded in creating a professional and respected brand image for the clinic.